Brazing process is a kind of fusion welding process where very soft filler materials are used and the joining process is performed at lower temperature (above 450 degree C). 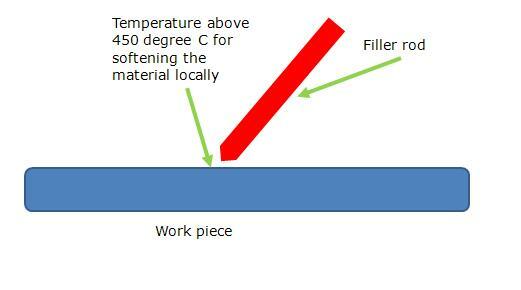 The joining area is also very small compare to the traditional fusion welding. The joint strength is quite less here. Ideal applications: Ideal for making low strength joint of dissimilar materials where warping and damage to the base materials is required to be avoided.